Don’t be fooled! Cybercriminals threaten small businesses every second. The cost to the victims can equal millions of dollars. Basically hackers target smaller business since they know they don’t invest in security like the larger businesses. You don’t need to spend thousands on security. Basic protections should be sufficient. So protect yourself, your competition does. Contact Computer Care Associates (508-370-8080) for a review of your small business systems. You realize you need a new computer. So, you then go to the store (or the internet) to begin researching what you can purchase only to find that most newer computers have the Windows 8 operating system on them. My opinion – Windows 8 is a good operating system. Of course, as with anything new – there is a learning curve to be able to use all the functions. Once someone gets used to how it works, it is actually faster and better than previous operating systems. For the person who is used to Windows XP, I customize their new computer – and would put in a menu bar. Windows never put in a menu bar. PC users need a menu bar. Thus, I download “classic shell”. Classic Shell is a collection of usability enhancements for Windows. The main features is a highly customizable Start menu which has multiple styles and skins. Using the classic shell cuts in half the learning curve for this new operating system. With the classic shell, the screen goes straight to the desktop “look” and not to the tiles. However, it is wise to note that becoming used to the tiles is a big part of Windows 8 and should be explored as well. My concern is for the User to become comfortable first by starting with the “desktop look”, and then they can learn about the tiles at their own rate. Bottom line, computers are a rapidly changing industry. 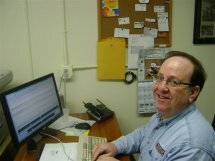 Computer Care Associates is your ally and we can help you adapt and begin to enjoy your new computer! Call us at 508-370-8080. We work remotely or on location. Are your SW applications up-to-date? A major problem for independent contractors, retail stores and small businesses and individuals working out of one location, is that they rely on various software programs for their livelihood. For instance – with interior designers, and professions that use a CAD-type of software, the software is very expensive ($4,000-$8,000). An important issue is that in order to continue to get updates, they must have a support contract. Contractors, plumbers, and electricians should be using QuickBooks or some type of accounting software to keep track of payments, receivables, as well as a database of their customers. The bottom line is to be prepared for disaster. Keep your licenses up-to-date. Make sure you have support and if necessary have the software on hand, in case you need to reinstall. If your SW files get corrupted, the vendor will help you download the missing files – or the product – but you need to give them the correct licensing information or else the communication with the vendor will be frustrating and even more expensive. This sounds like a lot of work and it is, but the consequence of not having the right information and software can be bleak. Backing up the data is important too, but you can’t back up your software applications. Your business relies on organization, records, and preparation in case of a disaster.